Welcome to the first day of the 3rd Annual FanstRAvaganza! This year we have so much to talk about there are several chains of topics you can follow. This blog is on the Fandom chain. Also posting today in this chain is Didion from the Feminéma blog. Please click here to read her post. You know you can't help it! But an interest that takes up most of one's waking hours, (perhaps even some sleeping ones too? ), and inspires one to endeavor to create artistic tributes in all sorts of media from pencil sketches to graphic and video renderings, from online comments and discussions to poetry and essays to fantasy fiction! It is incredible how one admittedly humble (and talented -- not to mention gorgeous) man can create this type of a reaction in the women of all ages whom one might otherwise think lead completely sane and humdrum existences. It has occurred to me that I have never told my readers how I came to be so enamoured of this shy, charming and intensely talented actor. I have made comments all over the blogosphere and told the story several times on quite a few different blogs, but never on my own. My husband joked that he had no idea what to get me for my birthday – just to see me LOSE it! Well, when I finally received my birthday prezzie I was so happy and relieved (this was March 2009) that I posted a picture of the cover on Facebook with the caption: Best. Present. Ever! Long story short – I watched the DVD right away and loved it again! But, I didn’t rewatch it over and over again, I wasn’t obsessed…yet! At the end of the summer I knew my daughter was going to England to finish her university studies and I wanted her to watch North and South with me because she was going to be near the same area as Manchester (where the story takes place). For some reason, when I watched it for the third time, I was suddenly overcome with the magnitude of Richard Armitage’s performance and I went to the computer almost immediately after watching to Google his name. The more I read about him the more I liked him, the more performances I saw, the more impressed I became! Very soon I found Nat's blog, Richard Armitage Fan blog. I was so happy and relieved to find someone else with a fascination for the same actor. I had never felt quite this way before about a total stranger since perhaps David Cassidy of The Partridge Family back when I was a tween. All we had then were records and Fan magazines. I never had any, they all belonged to my friend, so I couldn't have had it as bad as she obviously did. Later on, as a newlywed I was smitten with Pierce Brosnan in Remington Steel. I used to go over to an unmarried girlfriend's house to watch it with her. But I never bought any magazines or videos about him. At least not until lately, when I wondered if watching DVDs of my old crush could wean me off my new one. But I never found out as I haven't even opened them yet! Doesn't he seem like a composite of the other two? 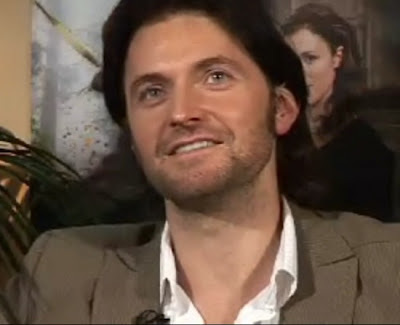 One of the things I have been trying to work out, is what is it about Richard Armitage that so attracts me to him? Yes, I know he is very talented, very attractive and charming, very intense and committed to his work. But perhaps it is also something in me which started off this Armitagemania? 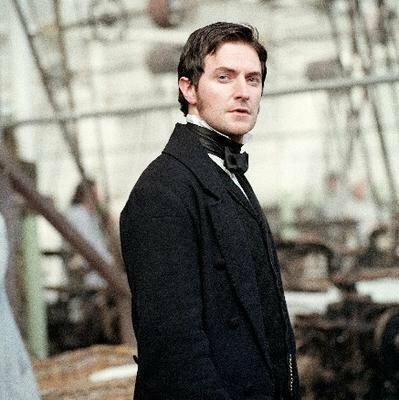 I have read many comments from fans crediting Richard Armitage (or one of his various characters - usually John Thornton from North and South or possibly Guy of Gisborne from Robin Hood) for almost rescuing them from some difficult stage in their lives. I wondered if we all had some kind of "trigger event" (as Servetus has called it) that lead us to be somehow more susceptible open to his attRActions. Was my trigger event caused by my worry over my only daughter and oldest child's impending move to the UK? I was very worried about her being so far away from anyone and everyone she knew, and in a different country with a different culture and traditions. (At least the language was relatively the same!) She had already left home many times for University far away in southern Ontario. We only got to see her once during the school year (at Christmas) as it was very expensive and/or time consuming to visit more often. So I was used to her being away. But when she was at University in Canada, she was in a city where we knew people, and had some relatives nearby. So I knew that if she really needed us, we could be there for her. But across an ocean, with no one but strangers all around, perhaps even terrorists? Yes, you bet I was worried! So perhaps, when we settled down to watch North and South together, as I experienced it for the third time, I was seeing it with new eyes. I was able to catch nuances perhaps I hadn't quite picked up on before. I am not sure. All I know is that almost immediately upon turning off the dvd player I was on the computer Googling Richard Armitage. Did he take my mind off my troubles? Yes, he did. He certainly was a distraction that's for sure! So, while an addiction to Richard Armitage will not solve world problems, it may definitely make you feel a bit better about life in general. And don't we all like to feel better? So, I will share with you this little slideshow / video (still made with Windows Moviemaker - sorry I haven't progressed much beyond that program yet). Many of us are intrigued with the mention that Mr. Armitage enjoys Do-It-Yourself projects. Also many are very attracted to his long-fingered, very masculine and capable looking hands. Since James Taylor's Handyman has always been one of my favourite '70s tunes, I couldn't resist combining all these elements together to illustrate how RA manages somehow to give us a little emotional DIY. 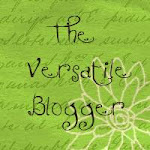 More about my blog later this week when I celebrate my 2nd Blogoversary! I hope you will join me for the celebration! This post is on the Fandom tag team. For more articles on this theme today, please visit Didion (who is a professor and RL friend of Servetus) at her blog Feminéma. I have enjoyed reading her movie reviews and am looking forward to hear more about her experience in the RA fandom! Tomorrow March 13, there will be two bloggers posting on the Fandom chain: Fabo at White Rose: and Simple Thoughts and Gratiana Lovelace at Something About Love. 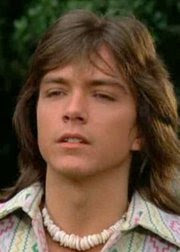 Geez, that photo does look like a composite of David Cassidy and Pierce Brosnan! HILARIOUS! Just :D ! Not obsessive at all. Moi?? If I weren't so techo-idiot, would have a blog. I love your post, Phylly. It captures the sense of why rational women are drawn to a sort-of obscure English actor. (Perhaps he might not be so "obsure" after 2012?) We are going to have a lovely time with F3 week. When RL allows time to peek in. I am really happy you developed a grande passion for RA. I love your blog and have been lurking for a while. A fellow Canadian, I can relate. I too have wondered wth with this passione for RA. I am not sure I have a trigger event other than having returned from a 3 week visit from the UK in late October 2011 and falling in love with everything British, which led me to North and South and the rest is history. I am looking forward to reading how others are relating to their RA passione (wonderful term btw). A really sensitive, thoughtful post. There's something about watching Richard Armitage that makes it okay to be vulnerable, to admit vulnerability. I've felt it, too. It's like he makes it okay to be dealing with stuff. Hard to explain what I mean. Didion actually was the first to expose me to Armitage. I wonder if I'll be in that post. It's so fun to read other people's accounts of their fandomness. ;) Thanks for sharing! I'm still thinking about David Cassidy and Pierce Brosnan progressing to Richard Armitage :) I think that the last 2 have a lot in common, but I guess that'd be a good topic for a future post! I think his work was a much needed distraction for me in tricky times. I can't think of any other actor who has done that, although at the moment I have "escaped" into audiobooks while I wait for RA's next work (8 months to go!). This is lovely! Wonderful to read your special story and all the different roads we all took to find Richard Armitage and to find that emotional connection with him. I love your post! N&S was my introduction to RA, too. And your "Handy Man" video is completely charming! Sighhhh! I'm going to add it to my sentimental favorites list. It's so nice to read the complete version of your story! And like you Nat's blog is where I after lurking for awhile finally hesitantly posted a comment. Wow, what a sweet post! And I know what you mean. I was thinking the other day about how hot I used to find Tom Peterson from Cheap Trick. In the 70s he could have easily passed for Guy of Gisborne's dissipated little brother. Phylly, loved reading your post, thankyou for sharing. After Davy Jones, David Cassidy then Pierce Brosnan were my big crushes, but Richard is overwhelmingly my Grande Passion. I'm flattered that you mentioned me! I laughed out loud at your Cassidy-Brosnan comparison. It made me think of Traxy's "If this guy and this guy had a love child" posts! I never thought of having an RA trigger before, but you're right. We probably all have one. I'm not sure what mine is... maybe just being bored? I love being a stay-at-home mom, but there have been times when I've needed something extra in my life, such as a hobby. RA just happened to fill that role at the time, I guess! It's great to read how others have fallen in love for RA! This is my first visit to your blog and I've loved reading your post and lovely video!! Hi Phylly, I love your post. Feel the connection as it shares the fascination to this greatly talented actor and how RA helps in making me feel better through difficult times. Have an early congratulation for your blogoversary! Dear Phylly, you know you have my complete sympathy. As an RA admirer, I perfectly understand what you've tried to describe in your post. Richard Armitage is my first and only "grande passione" for an actor or a celebrity. Well, I love to call him, my "one weakness", because HE IS my "one weakness". I've got a strong temper and a strong will. I'm even fastidiously stubborn, sometimes. But he has unwillingly and unconsciously succeeded in making me do things I'd have never even imagined before 2008. Just few examples, to write a blog (3 now! ), to use social networks, to read and then watch and also like STRIKE BACK (so not my cup of tea!) I'd go on but ... there's so much to read today all around the blogosphere :D Happy FanstRAvaganza3! I loved your video - Sweet Baby James and Richard are quite a combo - I ohh'd and ahhh'd all the way thru. So lovely hearing about your "grande passion" Phylly and thank you for sharing. Seeing pics of David Cassidy and Remington Steele brought back memories of younger crushes or maybe popsicles. Hola! I am replying from a balcony overlooking the beach at Nuevo Vallarta. The internet connection is intermittent at best otherwise I would LOVE to reply individually to all your lovely comments. I may still do so later. As I am staying with friends I cannot be rude and stay on the computer too long so please forgive me if I cannot comment here or on the other blogs very often. I will try to keep up with all the reading. What an outpouring of creative expression and affection this man inspires!! Hey Phylly, great post. I think i have grande passion for RA too :). I feel the same about my RA fandom, infact its the only fandom i can talk about, i never had any big teenage crushes except for probably Gregory Peck in Roman Holiday when i was 10 :) I think RA just cured my broken heart, its sounds dramatic i know, but that's just it. I was just a different person after I saw him in North and South. Waiting for your next FanstRAvaganza posts! Hello Phylly! As always wonderful job! Thank You! pi, I think you are right about "triggers". There seem to be very common ones which capture mainstream imagination. Others trigger other responses. The two are probably not entirely incompatible. An actor/artist who has "paid his dues", got training and used all his capabilities to an end, has my respect. This actor has my respect, although I'm not immune to his more physical aspects...but those would not hold endless respect. Welcome UK Expat! I am so glad that the technical problems are worked out. Nice to meet you! I enjoy your guest posts at judiag's blog, fitzg. F3 was a crazy busy week and I am just starting to get caught up. Thanks for stopping by! Yay! Another lurker is outed! :) I understand your "falling in love with everything British" very well. I've always been an Anglophile but visiting Britain in 2010 only gave me a taste for more! And there you were, front and centre. But seriously how could she leave out her greatest convert? You are so right that he is great at showing vulnerability. A strong man who is vulnerable is dynamite for me! I guess you mean PB and RA have a lot more in common right? I do agree, and I'm sure that there is another post in me about that! :) Thanks for visiting! No one else has ever done that for me! And audio books! *sigh! * I was never interested in them at all until I heard RA's performances. I haven't posted yet about that! And yes, we all wait impatiently for any little mention of what is going on with The Hobbit. Thanks for keeping me more informed than I would be otherwise! Ohh! You had all the Patridge Family albums! My we could have had some fun times together way back when! My favourite song (can't remember the title) was when he would stop singing and start sweet talking instead. I believe that's when I started swooning! Well I am grateful that you found that hobby! So happy to make you laugh, you certainly have given me many laughs over the years! I love Traxy's "love child" posts, but it didn't occur to me to try that! LOL I just noticed series 1 Guy's mullet seemed a bit like Keith Partridge so I looked for pictures that were somewhat similar. 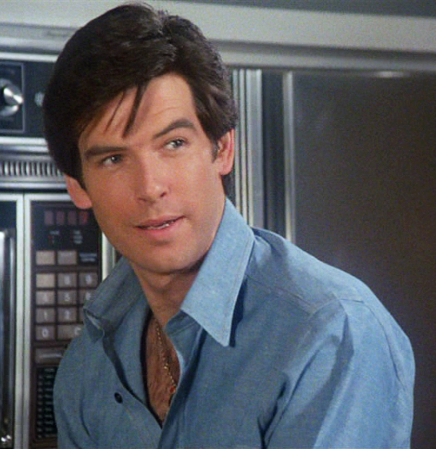 Pierce Brosnan always had a certain similarity - dark-haired, blue-eyed, British hunk! I also love to read other people's confessions about their RA passion. Thanks for visiting Ana Cris! Aha! Yes, he does make us feel better. How on earth does he do it? He is certainly gifted on many different levels! Thank you for commenting. Thanks so much for commenting on my post Maria Grazia. It is very similar to the story I told in the interview you did of me, but I edited it and added to it here. I've been meaning to write it all down for ages and I could have gone on much longer... It's incredible all the extra computer skills I have acquired since I began this passione! You are so right -- there is so much to read. What a great week! Oh, I'm so happy you liked my video. :) It still makes me smile, especially his laugh at the end. I am glad RA mended your broken heart. I wish more people could see North and South! Well, I was definitely receptive at that time. RA as a source of "creativity, joy and wonder" is exactly what we are all so enthused about. But I do think it is more rare that so many people find the same source. Or at least, that so many people who have never been participants in fandoms are so receptive to this certain, particular person. Thanks for your wonderful comment pi! Exactly fitzg! But although I was initially attracted to his talent (probably looks also), it was his real-life personna that ultimately made me fall for him. If he had been a snobbish, or nasty or conceited person I would have been over him before it began! Darn it! My replies used to be indented under the original comment but I had to turn off nested comments as it seemed to make it difficult for some people to load my blog. Anyway, sorry that it is so hard to tell which person I am replying to. 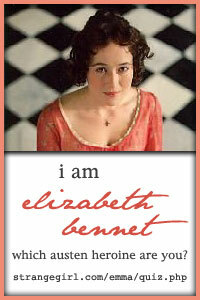 I am so thrilled to hear from so many readers! Click photo for link to main site. Sign the petition for the RIII project! How long have you been an RA fan? Visit my new Richard Armitage blog!